This book entitled Heiwa e no omoi (Thoughts toward peace) is one of a series of ten volumes of Inspiring Stories for upper elementary and junior high school children. Other titles in this series include Omoiyaru kokoro (Compassionate hearts) (vol. 5), Tomo ni ikiru (Living together) (vol. 8), and Owari naki yume (Endless dreams) (vol. 10). The inside front cover of Heiwa e no omoi (Thoughts toward peace) has the following statement to present the book's theme: "It's not acceptable when only you are enough. Stories of persons who act wanting peace for all people." Each of the five chapters covers the history of a Japanese person who experienced war in ways that nurtured strong beliefs toward peace. The first two stories deal with individuals who survived World War II, including a former kamikaze pilot, and the last three stories introduce people who were raised in the postwar period. Although many of these stories have been covered in other books, these personal accounts written for children provide excellent introductions to understand the experiences and motivations of the five individuals. Each story reflects thorough research through both written sources summarized at the end of each chapter and personal interviews that supplied many quotes for the book. Jun Yoshida gathered the material and wrote all chapters, but the book does not give any background about this person. The author writes with a didactic tone to inspire children to do something more with their lives and to contribute to society. Each chapter has a good mix of biographical history and personal opinions toward peace and other issues. Chapter 1 tells the tragic story of Toshiko Takagi, who in 1977 published a children's book entitled Garasu no usagi (Glass rabbit) about how her mother and two sisters died in the Tokyo fire bombing raids of March 9-10, 1945, that killed over 100,000 people. Her story has also been made into an animated film, and her book became a bestseller that has been translated into several languages. She was only 12 years old at the time and had been evacuated to Kanagawa Prefecture when the bombing raids took place. Her father survived the bombings but died in early August 1945 when hit by a bullet during machine gun strafing by enemy fighters, which left Toshiko alone without family. Her father had worked as a glass artisan. Before the death of her father, she had gone with him to search in the rubble of their Tokyo home, and there she found a glass rabbit partially melted by intense heat from the fires. This glass rabbit became her most prized possession. 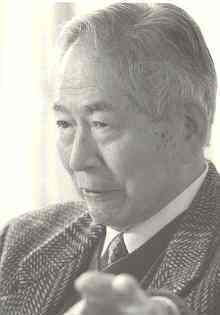 The second chapter introduces former Naval Ensign Takehiko Ena, a member of the Navy's Kamikaze Special Attack Corps, who took off twice on suicide missions and survived. On April 28, 1945, he took off from Kushira Air Base as navigator in a three-man Type 97 Carrier Attack Bomber (Allied code name of Kate), but the aircraft had to return due to engine problems. The pilot barely managed to land the plane at the nearest mainland air base at Chiran while still carrying their 800-kg bomb, since they could not reach sufficient altitude due to the engine problems in order to safely release the bomb. They returned to Kushira Air Base and made their next sortie on May 11, 1945, as part of the mass kamikaze attack called Kikusui (Floating Chrysanthemum) No. 6. Their aircraft again developed engine problems after takeoff, so they dropped the plane's bomb and made a forced landing in the sea near the small island of Kuroshima. Ena and his two fellow crewmen remained stranded on Kuroshima for over two months until July 30, 1945, when an Army transport submarine picked them up and took them back to the mainland in Nagasaki Prefecture. The three went on a train bound for Tokyo in order to return to their air group at Hyakurihara Air Base in Ibaraki Prefecture. On the morning of August 7, the train stopped to the west of Hiroshima, and they walked through Hiroshima and viewed the horrendous destruction caused by the atomic bomb dropped the previous day. They made it back to Hyakurihara, where the war's end was announced on August 15. 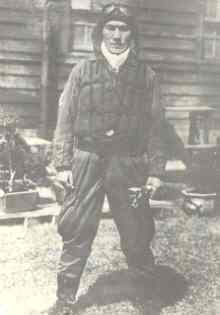 Out of the 17 Type 97 Carrier Attack Bombers and 51 crewmen from Hyakurihara Air Group assigned to the Kamikaze Special Attack Corps, only two aircraft and six crewmen survived the war. Another ensign who survived said to Ena (p. 64), "It is our duty to mourn for our comrades who died. After this we will pray for the repose of their souls." The next chapter presents Ryuichi Hirokawa, famous Japanese photojournalist who has focused his career on taking photographs and publishing them to illustrate the horrors and senselessness of war. After college, he spent some time living in a kibbutz in Israel, but there he became disturbed when he discovered that land occupied by the kibbutz had been cleared away by the destruction of Palestinian houses. He traveled around the world to take photographs of war and conflicts in such places as Iraq, Afghanistan, Lebanon, and Syria. 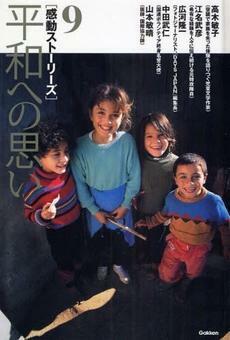 Hirokawa founded the monthly magazine Days Japan, which presents war and other serious issues through photojournalism. Chapter 4 describes how Takehito Nakata quit his job at a trading company to become the first Honorary Ambassador for United Nations Volunteers (UNV) after the death of his son Atsuhito, who was assassinated in 1992 while working in Cambodia as an electoral supervisor. The last chapter tells how Toshiharu Yamamoto at the age of 35 went as a doctor in a non-governmental organization (NGO) to Sierra Leone, one of the poorest countries in the world. He worked to train people there to provide medical care to others so that improvements would continue on after he left the country. Yamamoto also has worked in war-torn Afghanistan to provide medical care and training. The most surprising thing about this children's book is how a former kamikaze pilot gets grouped together with a children's author, photojournalist, UN honorary ambassador, and doctor in working for a more peaceful world.